We’ve been to the South Dakota Festival of Books twice so far, and we have now discovered two amazing writers who came to the festival without a book deal. Both now have books about to come out. Our conclusion is that there are lots of great writers in South Dakota, and many of them go to that festival. As soon as we met Jerry Nelson, we knew he was the real deal. He has that subtle, dry Midwestern wit that sneaks up behind you and then whacks you right in the funny bone. Since he’s writing about experiences that are so far out of the norm from people on either coast, we knew he’d need a special kind of publisher. We’ve seen over and over again how New York publishing doesn’t quite get this kind of Midwestern book and doesn’t understand what a big audience it has. 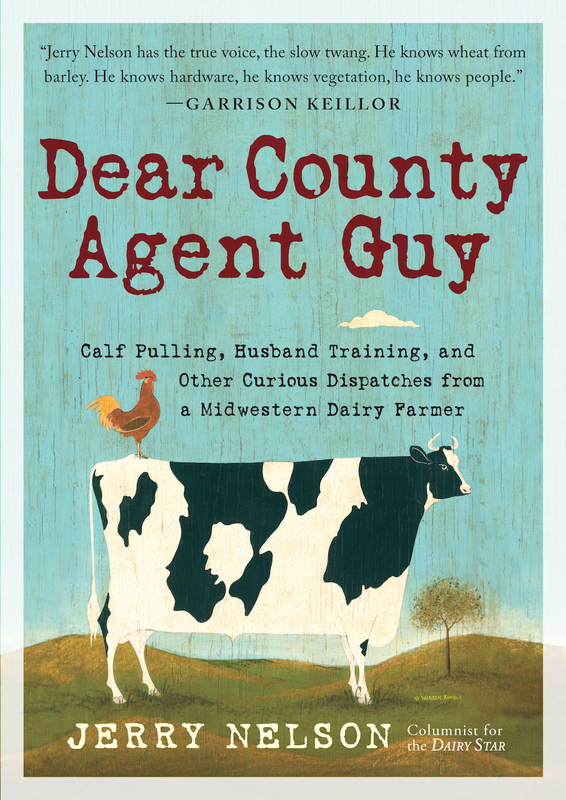 Jerry’s opus, Dear County Agent Guy, is finally ready for publication, and we are so happy to see this book spread its wings and fly out into the world. We thought we’d check in with him to see exactly how he did it. To read the full interview on the Huffington Post, click here. The Book Doctors: When did you first become interested in being a writer, and how did you learn to be one? When I was a kid, I never imagined myself becoming a writer. My only goal in life was to be a farmer like my dad and his father before him. I didn’t think that a formal education was necessary for achieving this goal. I put in the minimum amount of effort required of me at school and barely graduated from high school. I learned to be a writer by reading, which I call “feeding the machine.” Reading enables you to travel to exotic lands and experience new sights and sounds. The next step toward becoming a writer is to do some actual writing. There are many who say, “I should really write a book!” yet never get past the “should” part. We all have that little voice in our head who is constantly narrating the passing scene. Writing is simply committing that narrator’s words to paper. In essence, I learned by doing. BD: What are some of your favorite books and why? JN: I thoroughly enjoy everything that Dave Barry has ever written. He is one of those writers who has the uncanny ability to make the reader spontaneously snort with laughter. I adore the outdoor writer Patrick F. McManus. When our sons were young, it became a tradition to read one of Pat’s humorous essays to them as a bedtime story. This resulted in much giggling from the boys and from me. At my bedside is Volume I of The Autobiography of Mark Twain. I dip in and out of it randomly, which I understand is pretty much the method Twain used to write it. Time spent with such a virtuoso is never wasted. I also loved The Grapes of Wrath and The Great Gatsby. The list goes on and on. BD: Read any good books lately? JN: Our son and daughter-in-law recently gave me a signed copy of Failure is Not An Option by Gene Kranz. It details the author’s experiences as a NASA Flight Director in the early days of our nation’s space program and during the near-disaster that was Apollo 13. These things took place when I was a kid, so it’s like time traveling for me. I just finished Leaving Home, a collection of The News From Lake Wobegon essays by Garrison Keillor. They are from the early days of A Prairie Home Companion, so most of them seemed new to me. Reading them was nearly as pleasurable as hearing them. They gave me a chuckle and filled me with a deep sense of home. BD: You have been compared to Mark Twain and Garrison Keillor. How do you feel about that? JN: It totally blows my mind! As a boy, I first fell in love with Twain when I read Tom Sawyer. I then proceeded to devour Huckleberry Finn and almost everything Twain has written. He was an American original and is still the undisputed master of his genre. I first heard Keillor’s voice one Saturday in the mid-1990s when I was feeding my Holsteins. A commercial for Bertha’s Kitty Boutique came through the speakers on my tractor’s radio and I was instantly hooked. I cannot imagine a Saturday evening without A Prairie Home Companion. Keillor is a living legend and being compared to him is an unspeakably huge honor. Keillor grew up in Anoka, Minnesota, which is four hours from our farm, so it’s natural that our styles might have a similar terroir. The difference is that Keillor writes about Norwegian bachelor farmers, while I once was a Norwegian bachelor farmer. BD: Tell us about how your professional writing career started. JN: In 1996, my area was suffering through an extended period of wet weather. It had been so wet for so long that cattails were beginning to grow in my field where there should have been rows of corn. Feeling frustrated and helpless, I penned a spoof letter to Mel Kloster, my local county extension agent. In the letter, I asked Mel if he knew of a cheap, effective herbicide that could control the cattails. And while he was at it, maybe he could advise me on how to get rid of all the ducks and powerboats that were out in my corn field. Mel told me that he had enjoyed my missive and that I should get it published somewhere. I replied that I had zero training as a writer and didn’t know the first thing about publishing. I replied that this was fine by me and that’s all the thought that went into it. I have written a column each week ever since. That tiny spark was the beginning of my writing career. As my confidence in my abilities grew, I began to get some of my work published in the nation’s premier farm magazines. I also began to submit scripts that were used on A Prairie Home Companion. I don’t recall exactly how much I was paid for those scripts, but do know that the money was put toward our home heating bill. BD: You been doing your column “Dear County Agent Guy” for a long time, what have you learned about America by writing about this very particular part of it? A high school girl recently told me of a family ritual that involves my newspaper column. My column arrives at their home on Friday. When they sit down for their meal that evening, one of the family members reads my column aloud at the table. What I have written then becomes the official topic of discussion during the meal. Reactions such as those are very gratifying and extremely humbling. They also drive home what a huge responsibility I have to my readers. BD: What are some of your favorite stories in the collection? JN: That’s like asking which of your offspring is your favorite child! I cherish them all equally. But if you held a gun to my head, I might say that “Electric Fencing 101” has a special place in my heart, mainly because it’s mostly true with only a little embellishment here and there. That piece illustrates what it’s like to raise kids on the farm. Another piece that is special to me is “The Four Seasons of Farming.” It’s one of the more ruminative articles in the book, an essay that speaks to my deep connection with my family, the land and the rhythms of the earth. BD: Your family have been dairy farmers for four generations. How has farming changed since your great-great-great-grandparents were milking cows? JN: When my ancestors homesteaded in Dakota Territory, they milked cows the same way it had been done for 10,000 years, that is, by squatting beside a cow and squirting the milk into an open bucket. Modern dairy farmers utilize 21st century technology. Some dairies have milking parlors that can milk dozens of cows at a time. Over the past few years, robotic milkers have come to the fore. These machines can clean the cow’s udder, attach the milking unit and apply a post-milking teat dip, all without any direct human supervision. Daily milk production and numerous other data points can be accessed via your PC or your smart phone. The robot will send a text to your cell phone if it needs help with an issue. Cow comfort is paramount on the modern dairy. It used to be that the cows were cold in the wintertime and suffered through the heat during the summer. Nowadays, dairy barns are climate controlled and some dairy farmers have even opted to equip their stalls with water mattresses. Many dairy operators put electronic necklaces on their cows that will track such things as how many steps the cow takes each day and how much time she spends chewing her cud. My wife wants to put a similar necklace on me so that she can quantify how much time I spend doing actual work and how much time I waste goofing off. I am adamantly opposed to this idea. BD: Many of our readers want to know, how exactly do you train a husband? From what little information I have managed to gather, husband training is more of an art than a science. It’s also an ongoing, never-ending endeavor. I have heard wives say that it can take up to 50 years to get a husband properly trained. Husbands are actually fairly simple creatures. We respond positively to rewards and have a deep aversion for unpleasant experiences. If you discover a training method that works well for your Golden Retriever, odds are it will also work for your husband. BD: We hate to ask you this, but what advice do you have for writers? JN: There are six simple rules to becoming a better writer: read, read, read, and write, write, write. Read everything you can lay your hands on. Read the greats and the not-so-greats, anything that will stretch your imagination and your vocabulary. Make certain that you consume a healthy dose of poetry on a regular basis. As a writer, don’t be afraid to put yourself out there. Recognize that you are not perfect and will never be able to please everyone. Such is life. Jerry Nelson and his wife, Julie, live in Volga, South Dakota, on the farm that Jerry’s great-grandfather homesteaded in the 1880s. 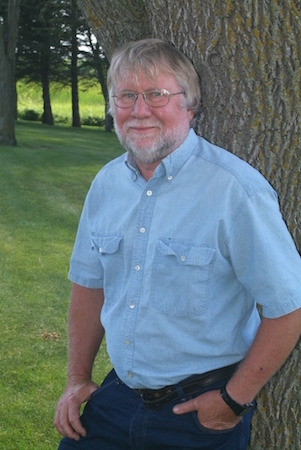 In addition to his weekly column, his writing has also appeared in the nation’s top agricultural magazines, including Successful Farming, Farm Journal, Progressive Farmer, and Living the Country Life. Dear County Agent Guy is his first book. Arielle Eckstut and David Henry Sterry are co-founders of The Book Doctors, a company that has helped countless authors get their books published. They are co-authors of The Essential Guide to Getting Your Book Published: How To Write It, Sell It, and Market It… Successfully (Workman, 2015). They are also book editors, and between them they have authored 25 books, and appeared on National Public Radio, the London Times, and the front cover of the Sunday New York Times Book Review. The Book Doctors! Book Con! Pitchapalooza!